This is my second post for today. My first post on Winnie & Walter’s Day#2 Premiere is HERE! This is my take on the challenge using Lawn Fawn stamp set. 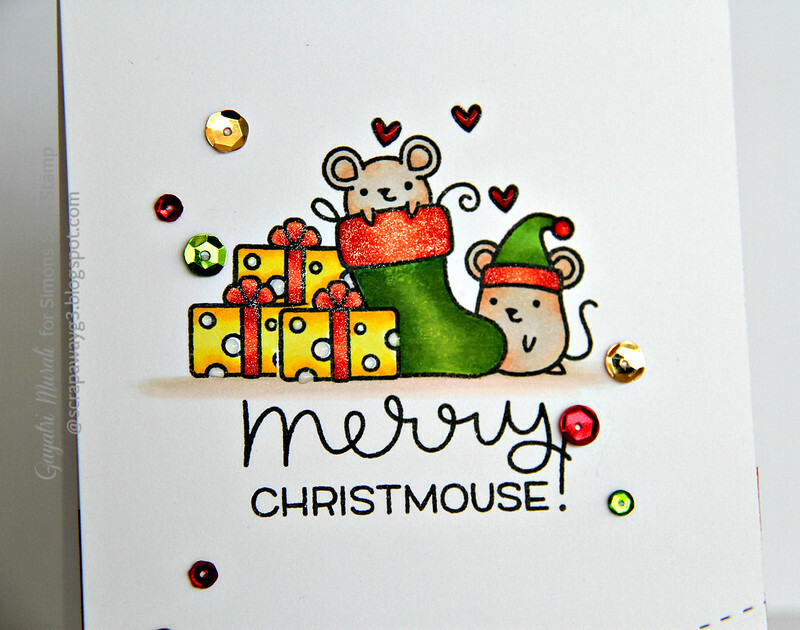 I have used the STAMPtember exclusive stamp set from Lawn Fawn called Merry Christmouse! I masked and stamped the images from the stamp set in the middle to form a cluster. I then coloured the images using copic markers. 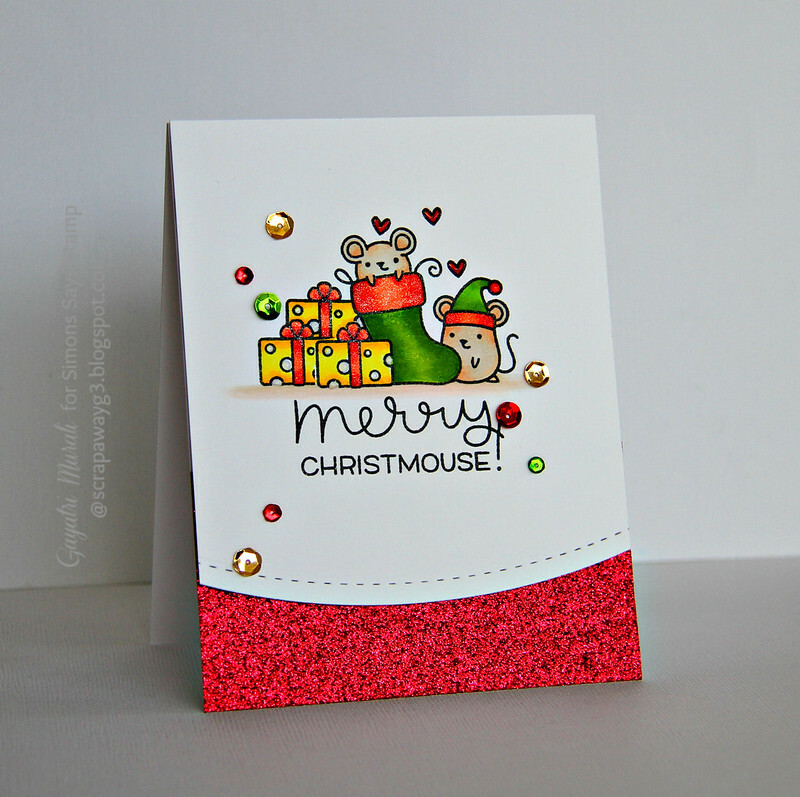 I brushed Wink of Stella clear shimmer pen on red colours to add sparkle to the card. I grounded all the images by colouring with brown copic markers. Below this I stamped the sentiment. To add more sparkle to the card, I die cut a stitched curved edge to the bottom of the panel using Simon Says Stamp Sitiched Slope and Hills die. On the bottom of the card front, I adhered red glitter paper then adhered the top panel using foam adhesive. I then embellished with Pretty Pink Posh Classic Christmas sequins. Here is a closeup of the card. Oooohhhh, Love this card! Super cute! LOVE the bright colors and shimmer, Gayatri! You have used these new stamps so fabulously!! Adorable, Gayatri – love all the sparkle! hi Gayatri! super cute card, i luv the glimmer, fabulous coloring too! hope you have a fun weekend! Beautiful card Gayatri! Such an adorable image! Great design too! !